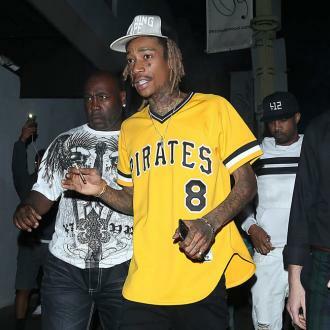 Wiz Khalifa wore a necklace bearing rumoured girlfriend Winnie Harlow's name to a concert earlier this week. Wiz Khalifa has seemingly confirmed his romance with Winnie Harlow. The 'See You Again' rapper has been romantically linked with the 24-year-old model for some time and during his gig in Atlanta on Tuesday (21.08.18) he was seen sporting a gold nameplate necklace that spelled out 'Winnie'. Winnie was in the audience for the show and shared a number of pictures from the gig on her Instagram story. This isn't the first time the couple have referenced their romance in jewellery. 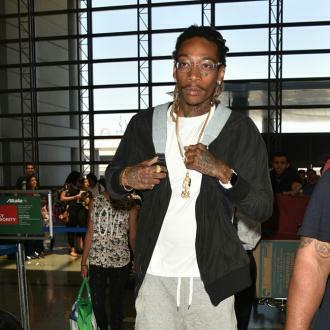 Last month, Winnie caused a stir when she shared a photo of herself wearing Wiz's CAM necklace, which refers to his real name Cameron Jibril Thomaz. Wiz's ex-wife Amber Rose - the mother of his five-year-old son Sebastian - has already given the pair's romance her seal of approval. The 34-year-old beauty has previously admitted she and Wiz have a strong relationship and became close friends after they separated in 2014. And Wiz has admitted he ''loves'' Amber and would never ''talk bad'' about her.